Our speakers are proven business leaders, strategists, practitioners and peers. Many of them are current HR professionals; others are well-respected industry leaders who know what you need to know. Our selection process for speakers is as rigorous as you'll find anywhere, and we make sure that you're hearing from the best. You'll get a solid grounding in tried-and-true HR fundamentals and unique insight into the innovative new practices that will change how the world does business. No matter how long you've been in HR or what position you hold at your company, chances are there is still something you need to learn. 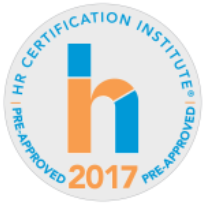 Trends, new strategies, and innovations in HR happen all the time; to stay up-to-date you need an educational opportunity that provides you with the full range of HR knowledge. Protect your company from liability - avoid legal risk before it arises by staying current with the latest changes in labor legislation. From federal legislative compliance, to HR legal issues specific to California, we help you stay on top of the most important legislative priorities. 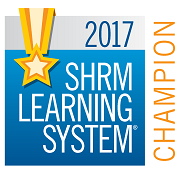 Your attendance earns you credits toward maintaining your valuable certification – your SHRM-CP, SHRM-SCP or other general designation. Bonus: At the conference receive in person questions answered. Our exhibitors are industry experts and solution-providers who truly what is happening in the world of HR and business - and they have answers to your questions. Invest time the exposition hall - our vendors are some of the best people for you to get to know if you want to learn more about what's happening in HR now - and what's going to happen in the future. Trust us: discovering innovative products and services is necessary to stay competitive in today’s business world.